Mediation Attorney Franklin TN | Donna L. Green, Esq. Donna has the experience and unique ability to navigate the process of divorce not just through litigation, but via collaborative means such as mediation whenever possible. Mediation is a process where a mediator (an impartial third party) helps two or more people in conflict to communicate, negotiate and voluntarily decide how to settle their dispute. Mediation doesn’t make anyone right or wrong; mediation reaches consensus. It’s more efficient and less costly. Conflict such as divorce and child custody disagreements tend to be very emotional experiences –full of anger, betrayal, disappointment and fear. It’s natural for people to want to go to court so they can “win” or have someone officially proclaim that they’re “right.” However litigation comes with a price and risk. For one, going to court is very expensive. Second, the judge may decide that you’re the loser and the other person is the winner. A judge decides the terms of resolving your conflict, rather than you and the other party negotiating your own resolution voluntarily. Unfortunately, going to court might mean that neither party finds the terms of resolution satisfactory, whereas in most cases utilizing a mediator and seeking settlement, both parties have more agency and certainty about their agreed rights and/or property. For example, many parents stay together “for the children” but once the decision to get a divorce has been made, it’s time to focus on how to make this life changing event as easy and positive as possible. In cases of divorce where there are children, working with a mediator allows for the most beneficial arrangements for your children by keeping both parents included in the entire process of communication, negotiation, and settlement. Another part of navigating a difficult conflict is the very natural desire to return to life as normal; to be done with the conflict and be able to move forward and be happy again. Working with a mediator to voluntarily come to agreement is faster, more harmonious, and less costly, allowing everyone to get on with their lives as smoothly and quickly as possible. Donna Green is a resourceful mediator who strives to help people reach settlement where all parties participate in crafting terms of their own resolution agreement. She is a strong proponent of using harmonious resolution over litigation, and delivering these benefits to clients so that everyone can walk away feeling more informed and in control of things moving forward. Working as a mediator allows Donna to empower people toward making satisfactory agreements of their own, rather than going to the greater cost and risk of taking things to court. Not only do clients who go the route of mediation save a lot of money, they tend to be much happier with the terms of their settlement than those who go to court and let a judge decide and define terms. 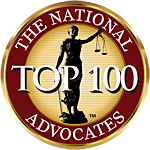 Donna is often contacted by fellow family law attorneys to serve as an impartial family law mediator in Franklin, TN. She is skilled at working with high conflict couples; hearing and working through the wants and needs of all parties; addressing complex financial matters in divorce; and helping parties prioritize what they most desire in a creative settlement.